Time in the sewing room is more rare than hen's teeth these days. I found myself in the car for several hours on a recent trip to Louisiana two weeks ago. We all know it would be tough to balance a sewing machine on my lap zooming down the road. So what to do? Go back to handsewing! That is what I did. I didn't have much time to get a project pulled together for our princess, but I always have Wee Care gowns awaiting attention. 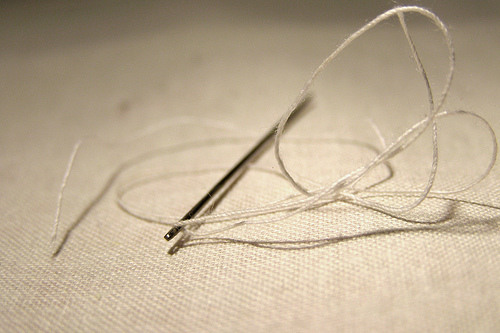 No machine, so I grabbed a spool of DMC 50 wt thread in pale blue and a package of needles. I was ready to go. Since I was in a hurry I also didn't grab any trim/lace to take with me. I did have a blue marker and a ruler though, so I marked a hemline and put in a shell hem on both sleeves. Just a tiny bit of extra sweetness for a tiny little boy. Since I was obviously going to be putting the hem in by hand I might as well make it cute. 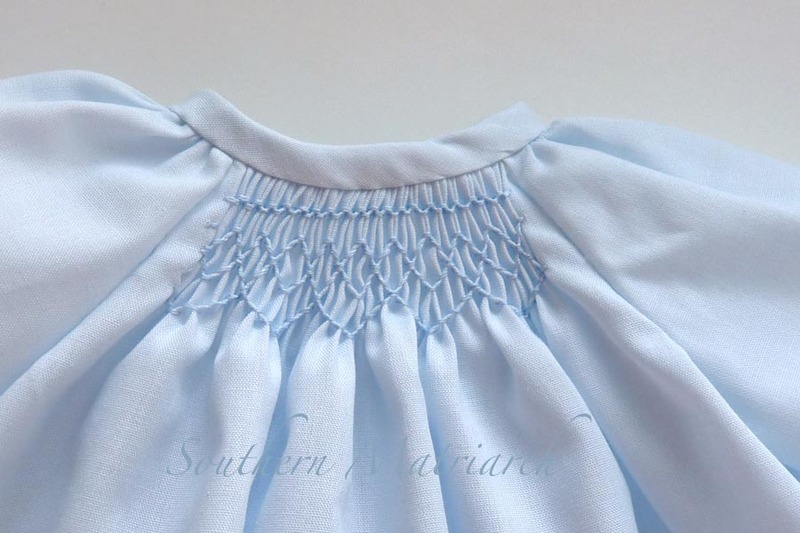 I used two strands of the same floss used for smocking to stitch the hem. Just a little bit of extra color. I did find 10 minutes yesterday to stitch some silk satin ribbon ties on the back. 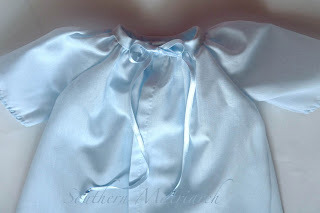 Silk satin ribbon isn't necessary but it sure drapes better than poly ribbon which has a tendency to stick out rather stiffly. 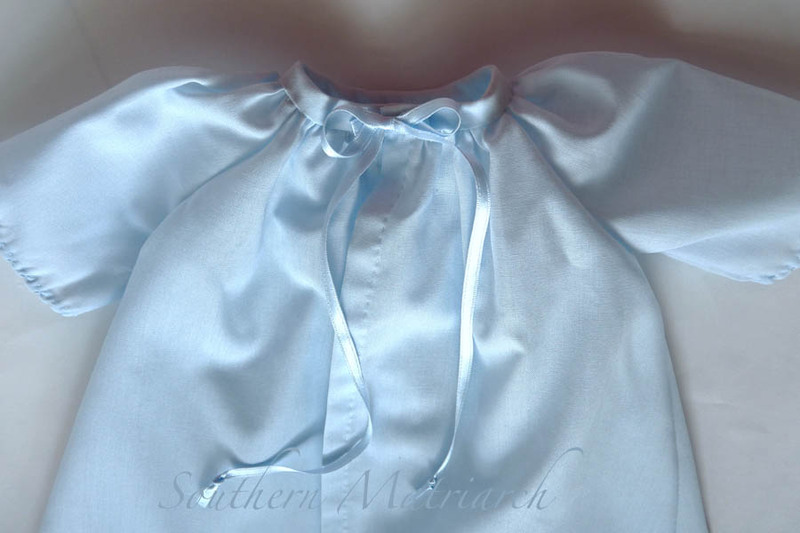 Of course if I were making 1200 gowns I couldn't afford to put silk satin on all of them, but I had the ribbon in my stash so I used it. It is pretty dry in sewing land around here when an 8" gown garners five pictures! But its all I've got right now. I am getting ready to start the baby's birthday dress and then a few other tiny things are on my horizon to make. Faithful reader, soothe your spirit, pick up a needle. Parting shot: Princess' Uncle Ben has taught her how to give "big hugs." 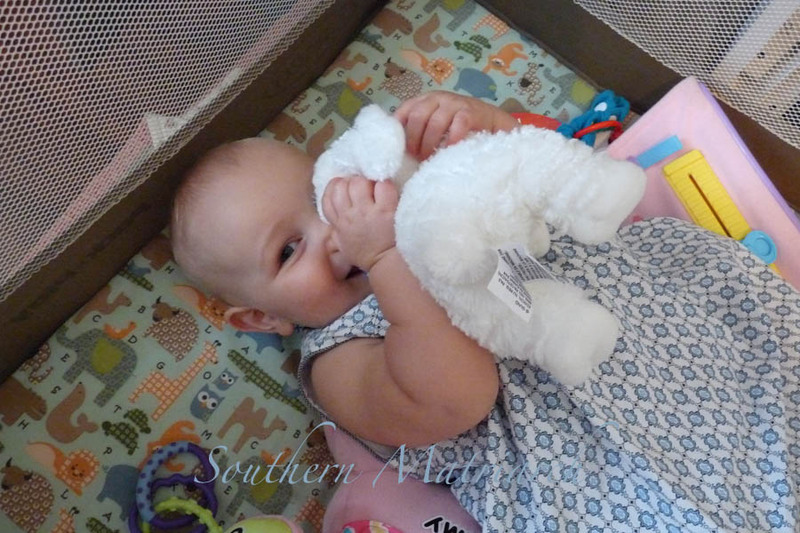 Here she is practicing on Lambie. She has to be contained in a playpen in the sewing room now. Her curiosity and mobility are getting the best of us! Sweet and simple, Martha! Love your extra touches. Way to make the most of your minutes! So delicate! Your wee care gown is so sweet and special. Thanks for reminding us what we can accomplish on a road trip with only the barest of sewing essentials. all our touches are so sweet! 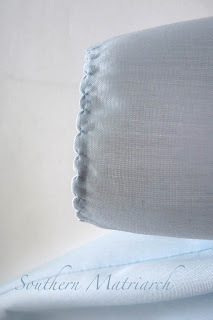 this one just proves how wonderful all that hand stitching makes a little garment! Been missing you! 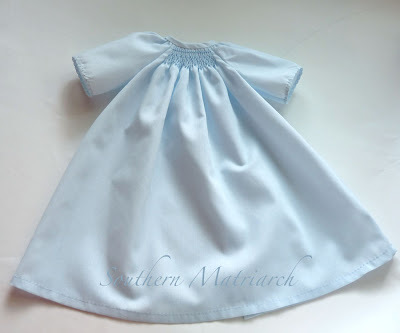 It always warms my heart to see others sewing wee care gowns! What a blessing it is for the families that receive these beautiful creations! I LOVE all the special touches you did on this gown - soooo precious! Thanks for sharing! Your Wee care gown is adorable. Somebody will appreciate the care and love that has gone into it. I think Lambie may be getting lots of cuddles from now on; how cute!!!! I love the gown. Someone will feel loved. 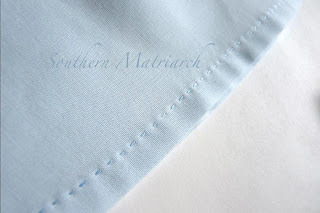 When I did hem on a dress, I did french knots holding the material up about a quarter inch apart. I love the wee care gown,hand stitching makes it even more precious well done hugs Pat.